Birchfield Design is a informational base site. This is for the sole purpose to showcase my skills as a local Baltimore web designer. Birchfield Design is built with the customer in mind. From young to old, we welcome all entrpreneuers. Need A Website Done? But Can't Afford Much? Give Us A Call Today!! Birchfield Design is based in Baltimore, MD. 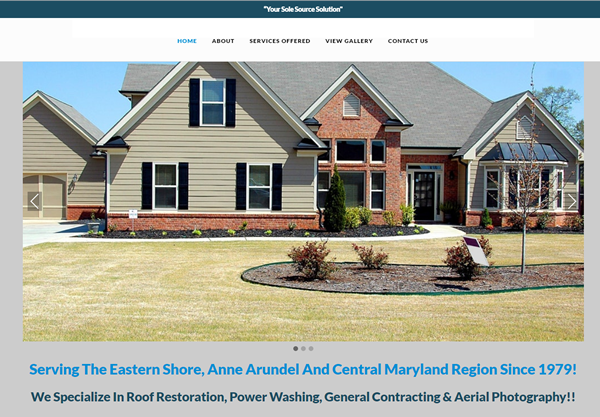 Matthew Birchfield who is the owner and freelance web designer, helps individual and small businesses across the Maryland, Pennsylvania, Delaware, Virginia and other nearby States, to get their name out on the world wide web. Birchfield Design sole purpose is to work with such individuals and small businesses that can’t afford much by working within their budget to get their name out on the World Wide Web. The other main focus is to help their business grow from nothing into something as we have a saying “We can only keep what we have by giving it away”. This helps us by giving back to the community as well as making a difference to our customers for years to come. Birchfield Design specializes in Responsive Development, from the front end to back end. Giving you the best experience possible. Birchfield Design develops websites on different levels with Joomla, Opencart, WordPress, PHP & more depending on what your looking for. Having trouble getting listed with google, not showing up with the top few pages on different search engines? Let us help you. Matt was on top of things from the start and was critical in helping me get things done. Matt always was there even after I paid to help and answer any questions I had. I HIGHLY recommend him for anyone wanted a website done quickly and completely. Matt is an awesome web designer! He is very helpful, and knowledgeable. He has very good ideas if you need help or aren't sure what exactly your looking for. Speedy response time with any concerns or problems you may have and very fair and affordable prices! Matt is a great guy and does an excellent job! He is extremely responsive, patient and listens to your needs. Birchfield Design created a great website for our company and I can't wait to see what creative ideas are to come! Matthew Birchfield, a professional local web designer with demonstrations and examples of professional web sites for recent clientele. Over the years I have demonstrated strong work ethics in professional environments with over 5 years’ experience as well as leadership qualities.